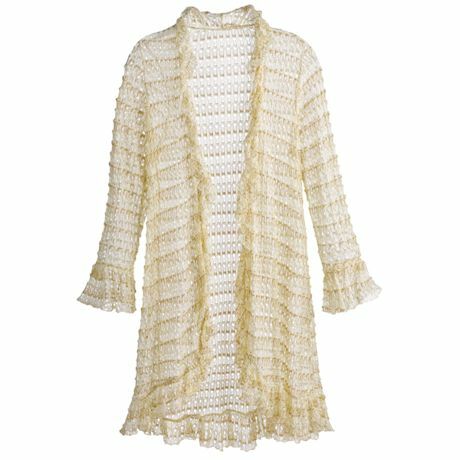 The throw-on layer of your dreams, with match-anything ivory crochetwork threaded with glittering gold. 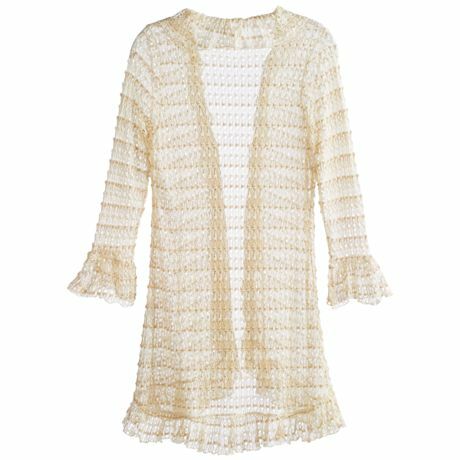 Ruffle-front long-sleeve cardigan has fluttery cuffs; made of easy-care machine-wash 100% polyester. Imported. S(6-8), M(10-12), L(14-16), XL(18), 1X(18W-20W), 2X(22W-24W), 3X(26W); 37"L.